Friday April 26, 2019 @ 5:00 p.m. This year's pow wow will be at the same location as years past, in the west end of Ottawa just off Moodie Drive on the ground of the Maple Hill Urban Farm. We are now accepting vendors for the May pow wow. 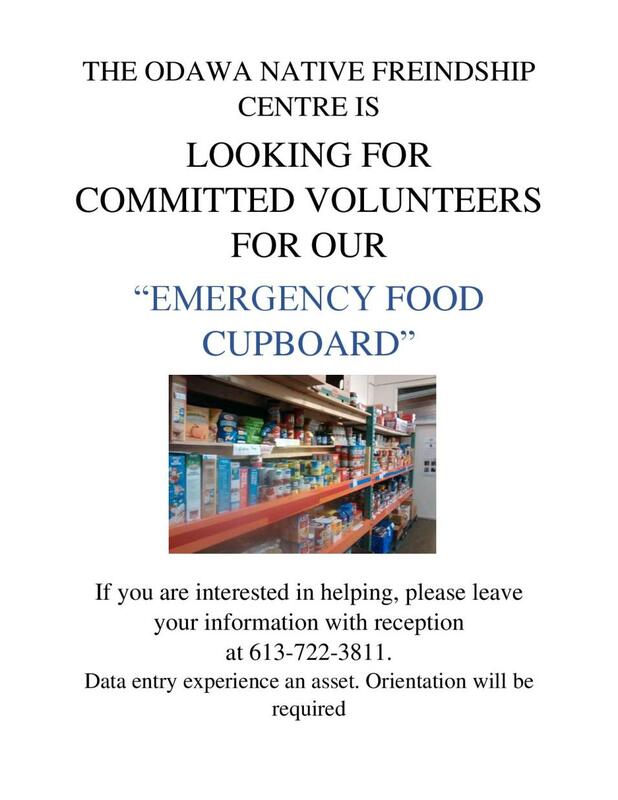 Odawa is looking for committed volunteers for the Emergency Food Cupboard. 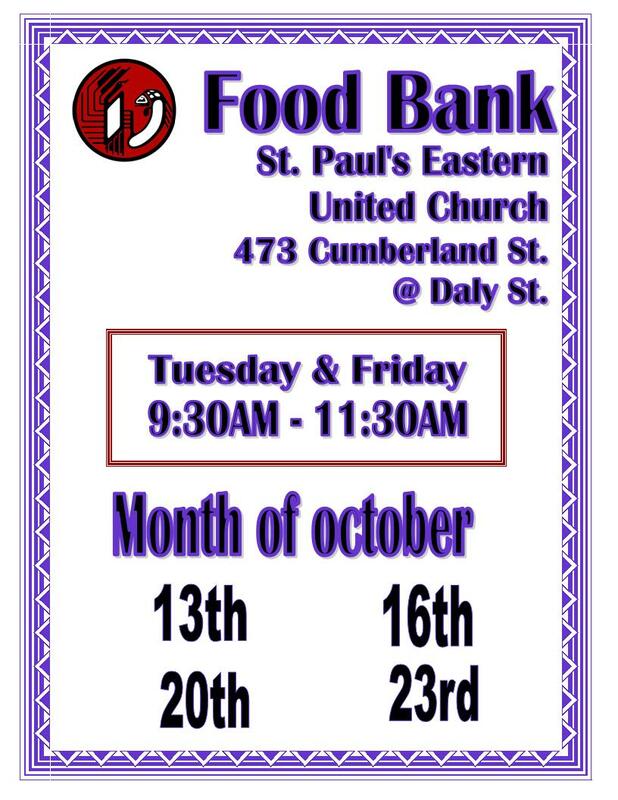 Please note that the hours of operation are M-F, 8 am - 3 pm and meals are twice daily at 8 am & 12 pm. Chance to listen and speak on addictions. Meal will be provided. Contact Carrie Diabo for more information. The Ottawa Aboriginal Best Start Committee is pleased to share our Video "A Story of Impact". It was created to promote awareness of Ottawa programs supporting Aboriginal children from 0-6 years. We hope you enjoy the video! When you have finished viewing it, please feel free to share it widely. The Aboriginal Best Start Committee would like to thank the families who shared their stories in the creation of this video. Celebrating over 33 years of dedicated services to the Ottawa region's Aboriginal community. To enhance the quality of life for Aboriginal people in the Capital region. To maintain a tradition of community, an ethic of self-help and development as well as to provide traditional teachings from our elders. These are important values we will continue to reinforce and promote in the coming years. 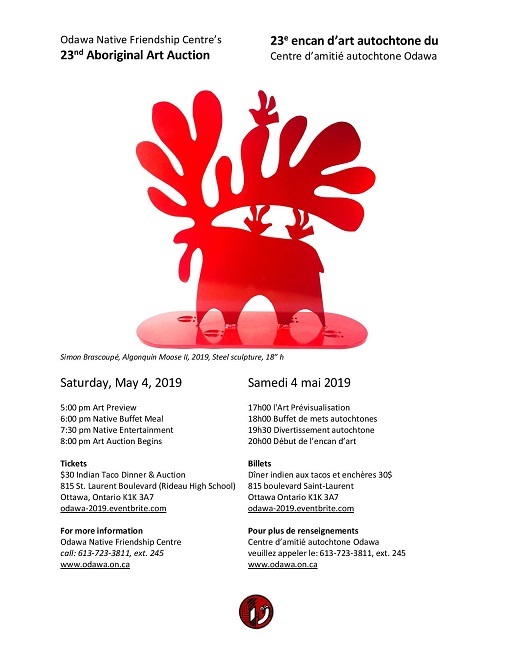 The Odawa Native Friendship Centre is a non-profit organization serving the Aboriginal community in the Ottawa-Carleton Region of Eastern Ontario and surrounding communities. The Odawa Native Friendship Centre opened its doors to the community in August 1975. The Aboriginal population has grown in the Ottawa community and we have expanded our services to meet their needs. We are an organization which offers various programs and services to people of all ages and where "Everyone Is Welcome". For over three decades now, Odawa's volunteers, Board of Directors, committee members and staff have worked diligently to ensure that we positively affect the quality of life for Aboriginal people in the Capital region. A tradition of community, ethnic self-help and development, as well as traditional teachings from our elders are important values, which we will continue to reinforce in the coming years. 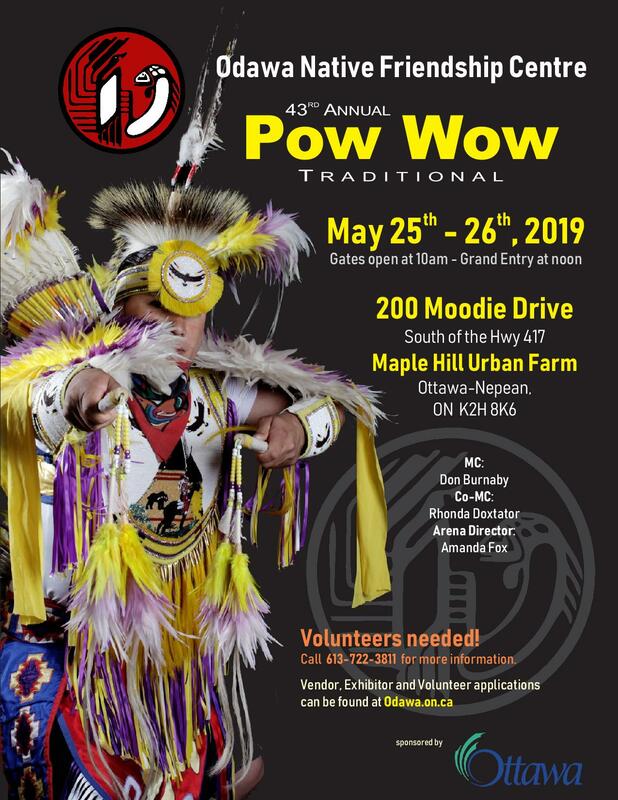 Odawa Annual Pow-Wow held each May, Native Veteran's Dinner, Traditional Drumming and Dancing, Dances, Socials and Family Events, Children's Pow-Wow. 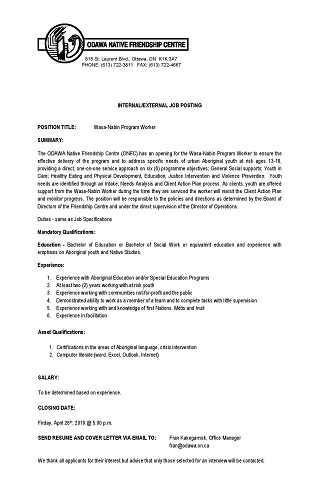 Odawa Sweetgrass Home Childcare Agency, Youth Support, Employment Training & Referral, Family Support Service, Counselling Referrals, Culture Relations (Anti-Racism), Alcohol and Drug Counselling Referrals and an emergency food bank location. Odawa's volleyball league, Jiu-Jitsu, Yoga, Zumba, Annual Arts Auction, Volunteer Appreciation. -Reinforcing Aboriginal cultural development and creating greater awareness and interaction with other cultures; this would include the Annual Summer Odawa Pow Wow which is a celebration of Aboriginal culture, enjoyed by over 18,000 visitors - Aboriginals and non-Aboriginals from across North America. -Promoting positive Aboriginal images, self-respect and expression through a variety of cultural programs and activities. -Facilitating the development of skills, knowledge and leadership in Aboriginal youth that will allow them to successfully participate in the surrounding community. -Continuing to offer a range of services that meet the special needs of Aboriginal people who require assistance in an urban environment.